Phone calls have a high and proved conversion rate. They are powerful tools to turn leads into customers. 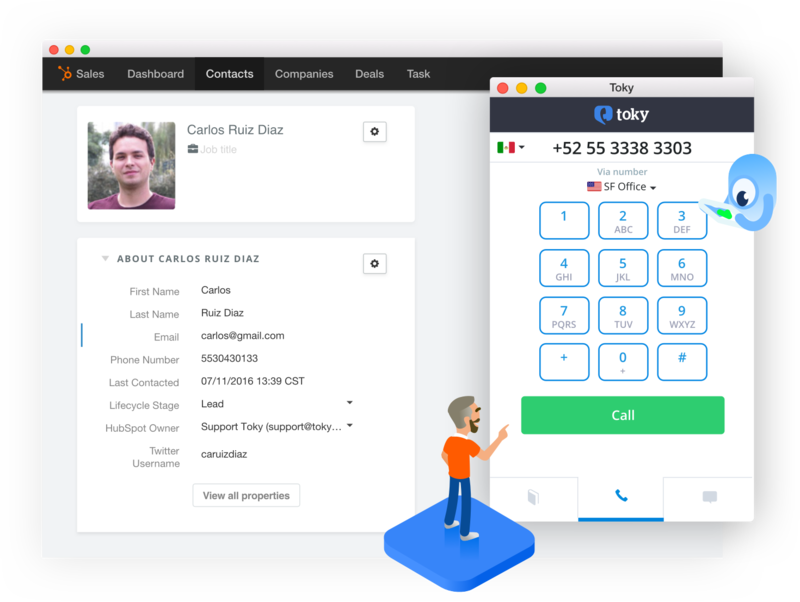 By integrating Hubspot CRM and Toky, you will use your business phone system inside your CRM easily, increasing the productivity of your support and sales teams. This integration requires both Toky and HubSpot. Learn more. 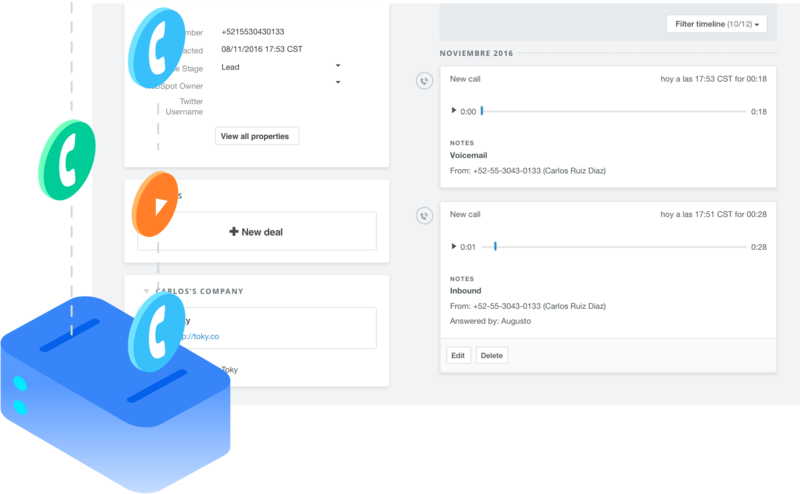 Every inbound and outbound call, SMS sent or received, call recording, voicemail, or event that happens in Toky is automatically logged to Hubspot and associated with the right contact. Forget about manual records, increase productivity by just adding notes and comments to each call. Calling customers to follow up or converting leads with a phone call only takes a click inside your CRM. 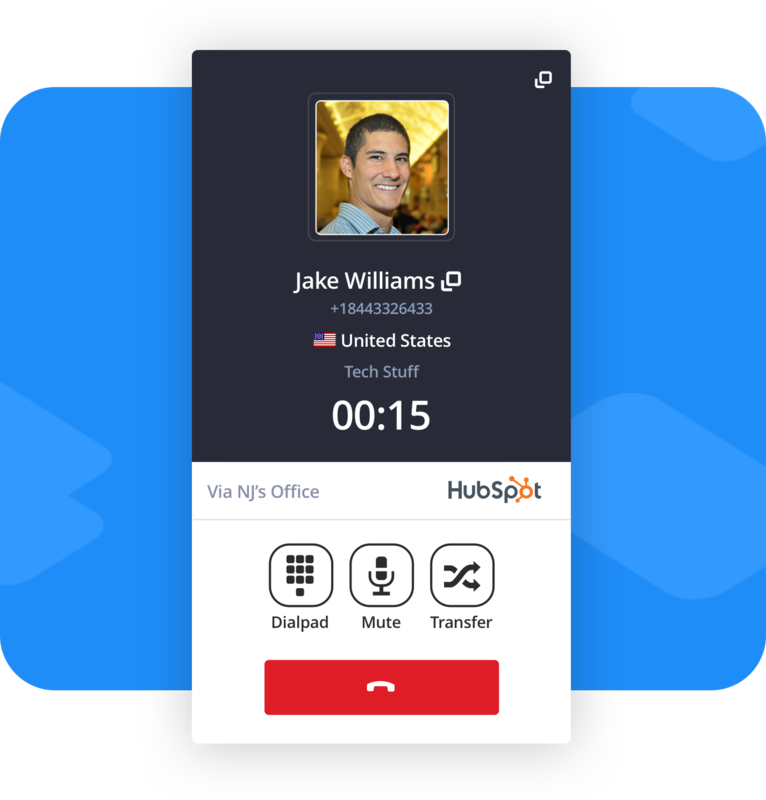 Hubspot contacts are always synchronized with Toky so you'll always know who's calling. The Toky + Hubspot integration makes possible to use your CRM and your business phone system as one easy to use and powerful sales and support tool. This integration automatically logs inbound and outbound calls and SMS messages and associates them the proper contact.